The 2015 NAEM Women's EHS & Sustainability Leadership Roundtable is being held at the St. Anthony Hotel in San Antonio, Texas. Hotel rooms at the St. Anthony have sold out but you can reserve rooms at their sister property, the Sheraton Gunther Hotel. Remember the Alamo! San Antonio, like the rest of Texas does everything big. 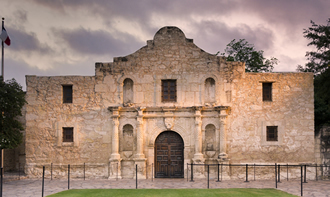 It is the heart of Tejano Texas culture and the ideal blend of Texas history and a cosmopolitan city. It is also one of Texas' greenest cities. The City of San Antonio, through its Office of Sustainability, was honored with the “2012 Innovation: Energy/Sustainable Development” by Sister Cities International. The award is for the City’s bike share program, San Antonio B‐Cycle, which launched in 2011 as the first modern‐day bike sharing system in Texas. The closest airport to the St. Anthony Hotel is the San Antonio International Airport (SAT). The airport is about 10 miles away from the conference location. It is a 15 minute cab ride.